Arsenal players Kieran Gibbs, Olivier Giroud and Francis Coquelin have announced that The Arsenal Foundation has raised £1million for its global charity partner Save the Children in a new video. The ‘1 MILLION’ strip, worn by Giroud in the film, was presented to the charity’s Chief Executive Justin Forsyth by Arsène Wenger at at the club’s annual flagship fundraising event A Night to Inspire on Thursday 21 May. 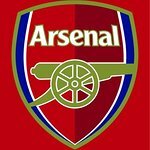 The celebratory video also sees Arsenal Foundation Ambassadors and club legends, Martin Keown and Robert Pires, as well as current midfielder Abou Diaby, meeting some of the children who have been helped through the much-needed Save the Children programmes that The Arsenal Foundation has funded. The partnership has helped Save the Children respond to emergencies in the Philippines, Sierra Leone, Syria and, most recently in Nepal. The partnership also supports the charity’s work in China and Indonesia helping children receive a quality education in a safe environment. To find out more about The Arsenal Foundation and the partnership with Save the Children visit www.arsenal.com/thearsenalfoundation.